John Lasseter is a two-time Academy Award®–winner, director, chief creative officer at Walt Disney and Pixar Animation Studios, and principal creative advisor at Walt Disney Imagineering. Brad Bird is a director of both live-action and animated films, including Academy Award®–winners Ratatouille and The Incredibles. Karen Paik is the author of several books about Pixar and its films, including To Infinity and Beyond! : The Story of Pixar Animation Studios. "A must for any Incredibles fan." "The 'art of' series of books (Published by Chronicle Books) are the quintessential behind-the-scenes looks at a Pixar film. The Art of Incredibles 2 does not disappoint as the book dives into the characters, environments, vehicles and even has a section dedicated to outtakes (deleted scenes) from the film." "Leafing through The Art of Incredibles 2 one notices the constant quest to mix modern design with retrofuturism, the main visual vocabulary of the franchise." "If you're a fan of the movie, you'll love flipping through this art book... Definitely one I'd recommend to Incredibles fans." "If you're a fan of mid-century modern design, get your hands on The Art of Incredibles 2." 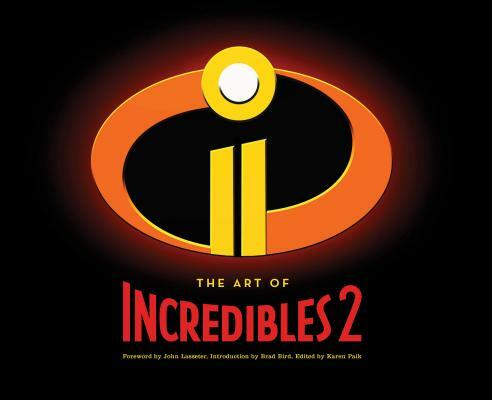 "If you're a fan of Incredibles or just a fan of Pixar's animation process, you need this book. It's bursting with color and story and little nuggets of wisdom from Director Brad Bird that you can't find anywhere else."